The energy need increase in direct proportion of raising population, urbanization and industrialization in all over the World. Because of these increases, energy resources are diversifying and facing to renewable alternative energy resources. Extinction of available energy resources at short notice is a scientifical fact caused by raising population, advanced technologies and rapidly rising of energy demand. According to the demand and especially with the high quantity consumption of carbon oils; there is no possibility to hold the World's emission values within the same edges. In case of continuous pollution, the usage and production of renewable energy resources is inevitable in all over the World as a result of temperature increase and elevation of sea level. Within the renewable energy systems, the sun step forward as an illumination of heat and light. Along with rising of energy productivity with the new developed Technologies at Photovoltaics (PV) Solar Module, the number of Solar Energy Panels is increasing in the entire World. 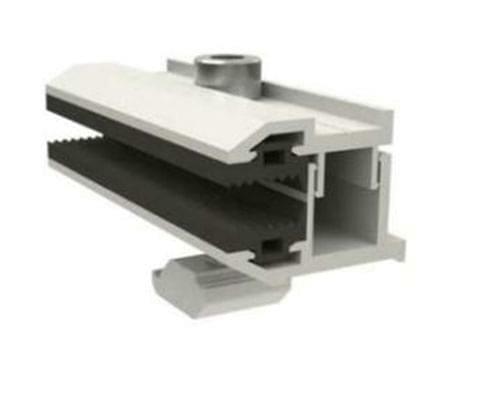 One of the reason of energy loss at the Solar Energy System is the Clamp Gasket which establish a connection on the PV Solar modules mounted at the aluminium profiles. 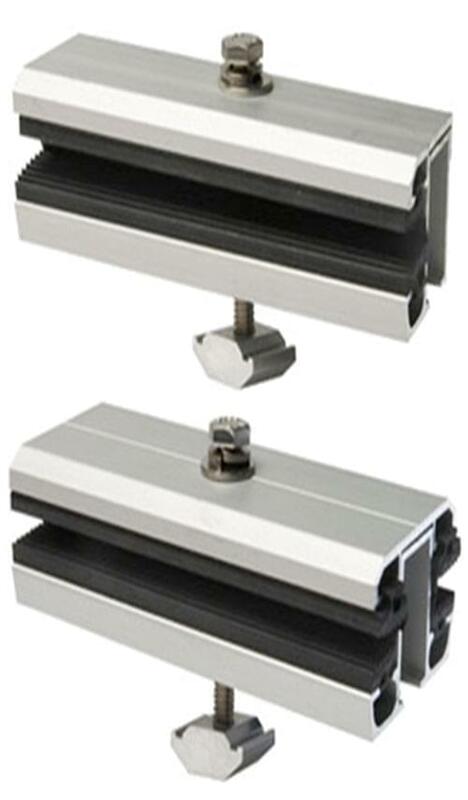 Low electrical conductivity of the raw material is very important for the chosen clamp's material. The lower levels of the Electrical transmisson-coefficient prevent the electricity flow to the earth through the chassis and this electricty is obtained from the panels. The panels will be exposed to long term and vertical sunlight therefore the raw materail of the clamp needs to have some specialities such as; High UV&Ozon Resistency, Low Permanent Deformation and Long-Term Flexibility. Our manufacture of TPE-Based Gaskets has been tested by the World's most significant PV Solar Modul producer ‘'First Solar'' and approved for the application of Electrical Resistancy panels. 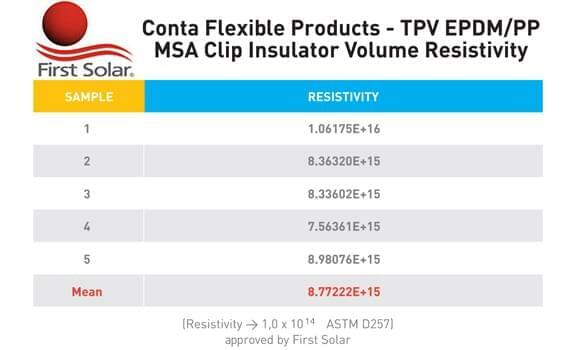 Low electrical conductivity and First Solar certified. It doesn't let you down. It can endure hardy weather conditions because of High level UV&Ozon resistancy. Keeps its hot and cold stabilise; works perfectly within wide temperature rage. Can be produced as Co-Ex; different qualified TPEs can be used in one single product. High resistancy to permanant deformation; zaman geçse de sızdırmazlık sorunu yaratmaz. Conform to European standards; ROSH, PAH, REACH.